Someday I'll Sleep Autism Blogs: Mae Bae's! The three children upstairs, in three different rooms, seem to be conspiring against me when it comes to bedtime. You see, after bedtime, I'm supposed to be sewing. Or cleaning. We have a routine. Or we had one. But for the past month they've had me (and the routine) pretty thoroughly defeated. As often as not I haven't been getting as much done... because they know... if they can keep Mommy from getting to work for long enough, I'll finally collapse in the bed and get nothing done. And I'm pretty sure that's their goal. Still... they're pretty cute while they're doing it. Sadie burst into tears because she didn't want to go into the room with Mae Bae... Her exact words were "I don't want it to be 8 o'clock!" followed by "I don't want to go into the room with Maggie!!!" And honestly, after the past week I can't blame her. You see when it's bedtime Sadie likes to go straight to bed. Maggie likes to jump on the bed for three hours. That sounds like an exaggeration... but it's not. Maggie's new bedtime routine involves staying up until 11pm and then finally falling asleep hanging off the side of her bed. She jumps and plays happily. And she'd really, really like her big sister to do the same. You see the problem? So she jumps on Sadie's bed and jumps from her bed to Sadie's bed and pretty much makes it pretty miserable for her big sister who likes to go to sleep at 8 o'clock on the dot. Oh the life of a big sister. Tonight I let Sadie retreat tearfully to bed in our bed, after a discussion about how I was going to move her over to her bed once Maggie fell asleep. And then I went to get Patrick to sleep, since he is going through an I-have-to-be-able-to-see-Mommy phase (or he's yelling about it, which was killing my slim hope that Mae was going to actually go to sleep at a decent hour). But being able to see Mommy just wasn't conductive to sleeping. Because the second he saw me in his room he'd stop crying, but then he'd sit up and then get up on his knees and try to stand up, a huge smile on his cute little face. "Patrick," I'd say, "it's bedtime." And he'd smile wider and bounce up and down. Which didn't make me feel like bedtime was inching any closer. I finally made it back to my room to find Sadie obsessing over the quilt on our bed. She always carefully smoothes over the quilt on her own bed before she can go to sleep and she was having a hard time smoothing out the entire king sized quilt on our bed to her liking (reason #125 why having a little sister who wants to jump on your bed isn't all that fun). I helped her make sure the entire quilt was smooth and she finally settled in to go to sleep. After all that it was time to finish cleaning the downstairs and I'm counting it as a small victory that I got one load of laundry started. 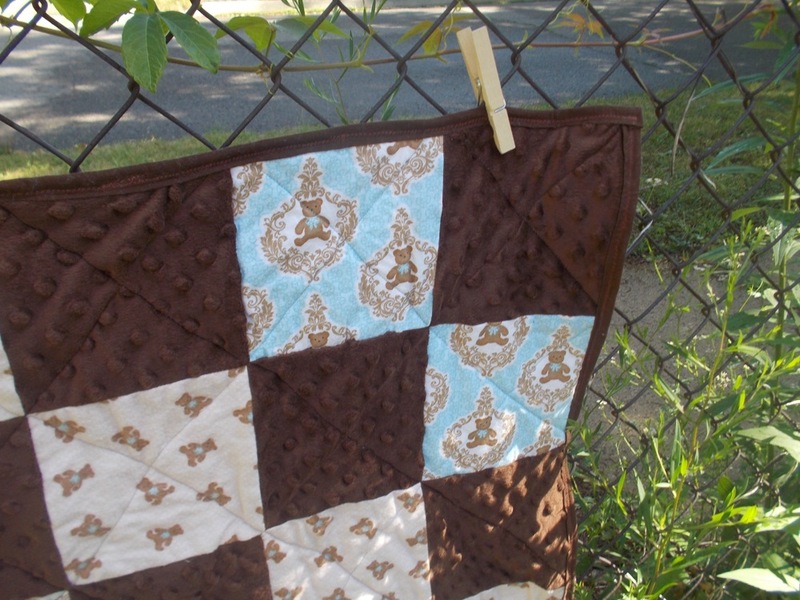 But the real victory of the day was that in the brief interlude between storms, I managed to photograph some quilts and then, over the course of the rest of the day, got them posted in my new shop. And that's my big news of the day: Mae Bae's is officially up and running. 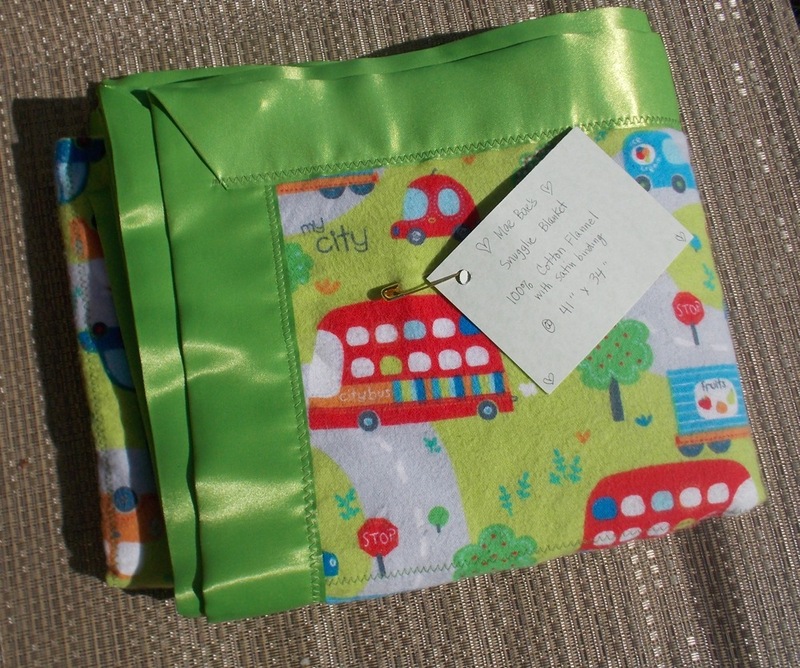 It's going to be baby and kids items, especially blankets and quilts. I still have quite a bit more posting to do, but the first 19 items are up, so that's not a bad days work. If you're in the market for a baby quilt, blanket, crayon roll or dress these are all made and ready to ship! Yay! I am so glad you were able to open up your new shop. Those baby quilts are gorgeous. 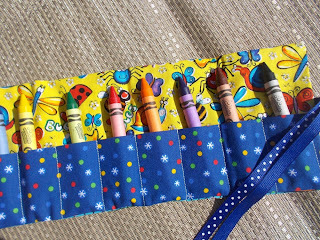 I ordered one of those cute crayon rolls, since I have always wanted one for the kiddos. I looked for your other Etsy shops but only found your snood shop. Have you closed your rosary and chaplet shop? God bless! I've wanted to ask you this many times: do you spank as a method of discipline or form of punishment? Any thoughts on the pros and cons of spanking as part of healthy discipline? Hi Theresa! How are you guys? I think I heard you have a new little one since we last saw you? Congratulations! On good months we can go for a month and no one gets spanked. And Sadie pretty much never does because she listens. But for the two and overs around the age of doing very dangerous things we have used it, generally when warnings and time outs were completely ineffective. Although theoretically I really like the idea of not... but the reality has been yes. Hi Randi- Thank you so much for your order! Right now I have my rosary and doll shop down and I'm planning on combining them with the snood shop (so I basically have a Catholic shop and a baby things shop) but I haven't quite got it organized enough to put things back up. I want to recheck my chaplets and make sure I have them all because it looks like a few went missing . I'm hoping to have them up very soon though (and to start making more once I finish this reorganization of the house). It's always fun to read your blog. Good luck as Paul enters "the home stretch." It's amazing to see how differently the kids do respond to different moms and dads. I've noticed Patrick is already so much rougher with Paul when he plays and so much gentler with me. I'm so excited to hear your little guy's name (I love all three of the name's you picked). It was a while back when we'd heard you four had welcomed another one to the family and I was pestering Paul to remember the name (now I can tell him!)! I hope you guys are doing well up north! I saw pictures of Alaska on someone's page the other day and told Paul it looked really, really beautiful (hint, hint). But my main goal at the moment is to not be directly in the middle of the city, wherever we end up... It was wonderful to hear from you!